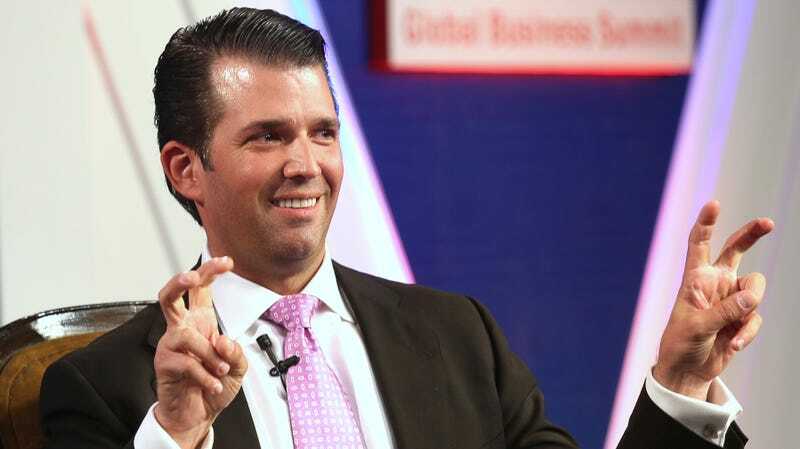 Several major book publishers have turned up their noses at Don Jr.’s proposed new book, according to a Fox Business report. The feeling, in the words of one source, is: “There was basically no interest in a book that’s basically a defense of daddy book when you’re under federal investigation yourself.” But he was going to be a book boy! Sounds like Don Jr. will, at a discount price, probably get that deal after all. And afterwards, I’m pretty sure America—and, more importantly, father—will finally take him seriously. A book boy, after all! Can You Listen to Don Jr. Repeating &apos;The Fruits of My Father’s Labors&apos; for 1 Minute Without Crying Blood?